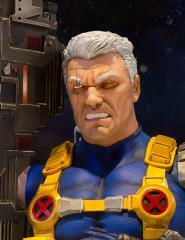 Cable aka Nathan Summers, the son of Cyclops and a clone of Jean Grey was sent to the future in a bid to save his life when a techno-organic virus infected him. 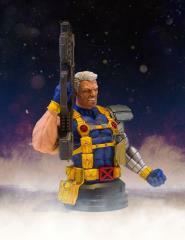 His origin remained a mystery for many years, primarily known as a time-traveling soldier with a mysterious past, Cable served as the original leader of the mutant commando team X-Force! Cable uses his formidable telekinetic abilities and cybernetic enhancements to battle Super Villain foes in his quest for peace. 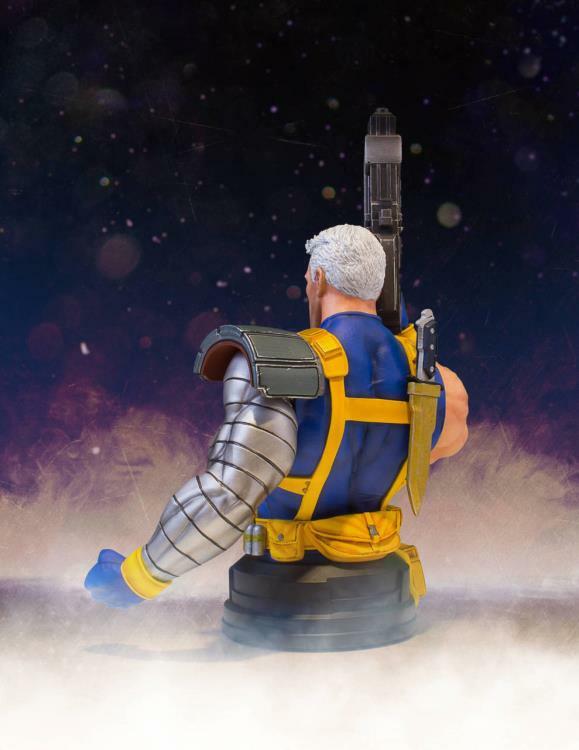 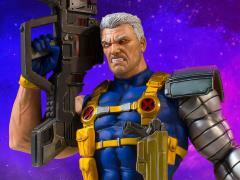 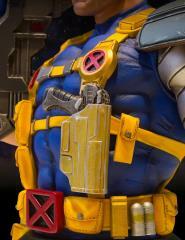 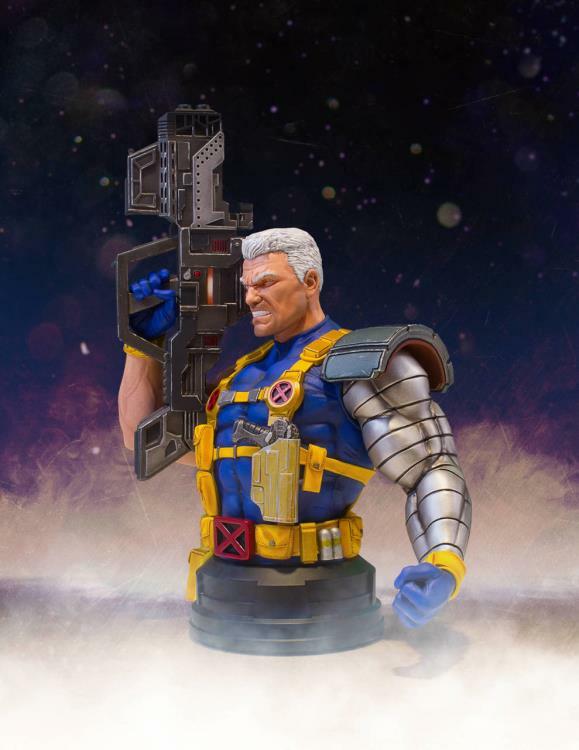 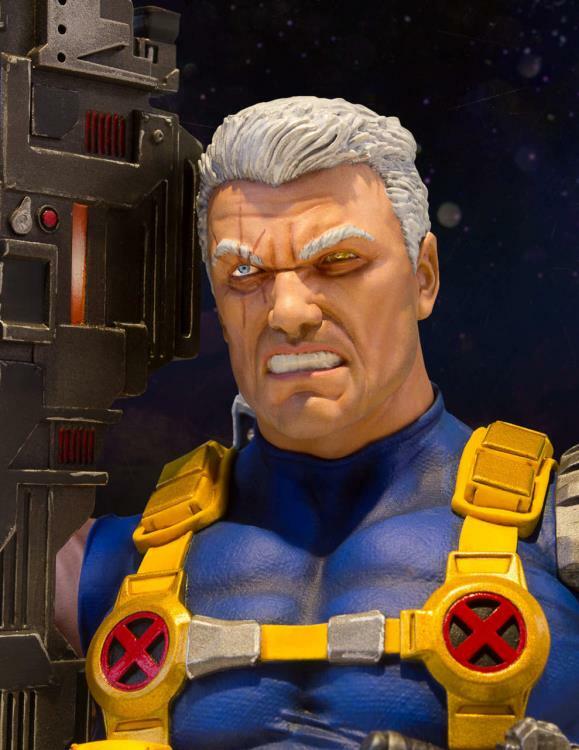 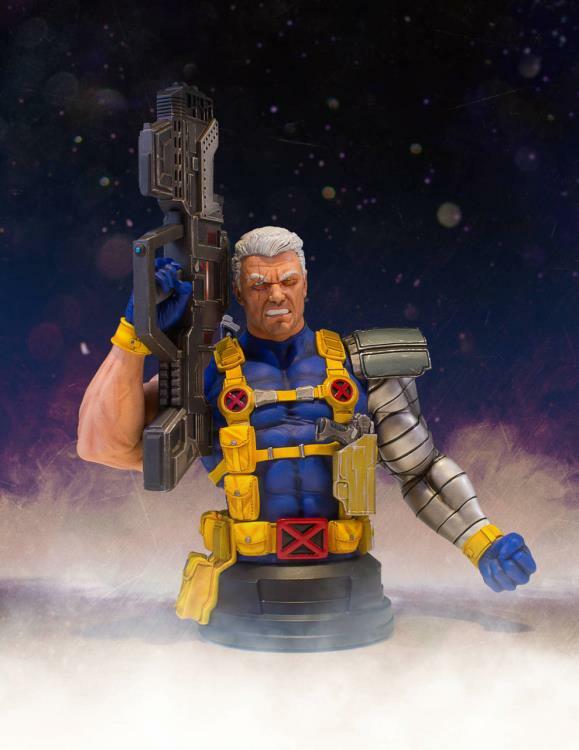 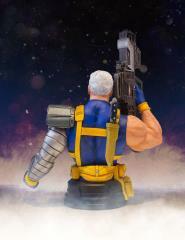 Gentle Giant Ltd.’s new Cable Mini Bust is a BIG bust with BIG guns and BIG pouches! 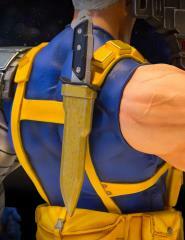 The Cable Mini Bust is loaded with 360 degrees of character detail. This one-man arsenal is gritting his teeth, is locked and loaded and ready to do some damage! Digitally sculpted by the master artisans at Gentle Giant Ltd., Cable mini bust features a variety of painting techniques to highlight every surface both organic and techno-organic. 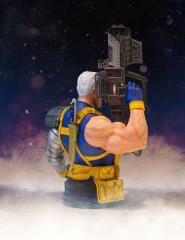 Crafted using only the highest quality polystone, each limited-edition hand-painted mini bust comes individually numbered and is packed with a matching Certificate of Authenticity.